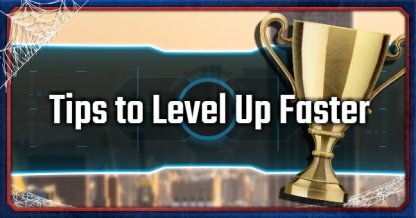 Level up faster to get access to new skills, gadget upgrades, and suit mods. 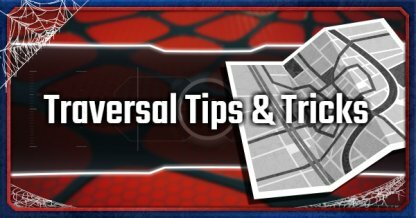 This guide includes tips on how gain XP faster and what missions are best to farm when leveling up! 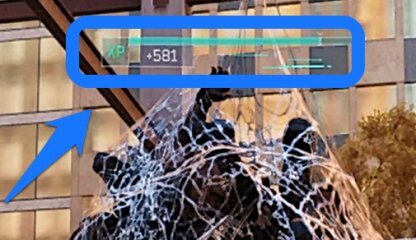 Leveling up is pretty basic in Spider-Man because all you have to do is fill up your XP bar. The number of XP you need per level goes up so the higher the level, the higher the XP needed! 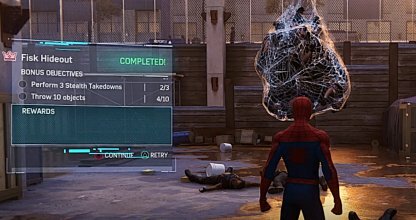 Completing missions and defeating enemies are the most basic ways of gaining XP in Spider-Man. Collecting collectibles and taking pictures of landmarks also give a bit of XP. What Do You Get When You Level Up? 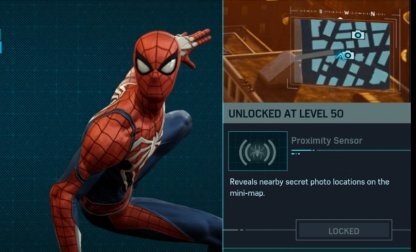 Spider-Man becomes tougher with every level up. He'll get status upgrades such as higher health and increase in damage to make him stronger as the game progresses. 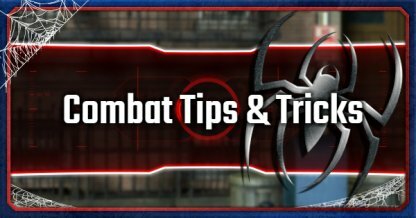 You get skill points every time you level up that can be used to get new skills, such as new combat and swinging moves! 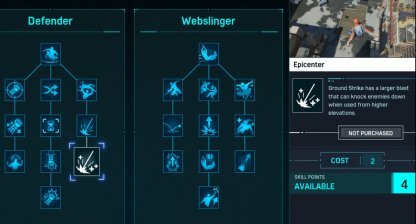 Suit mods with passive skills and gadget upgrades will be unlocked upon reaching certain levels. 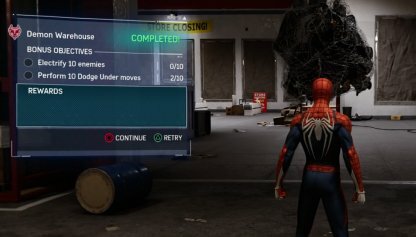 You can choose from a number of them to raise Spider-Man's survival within and outside of combat. 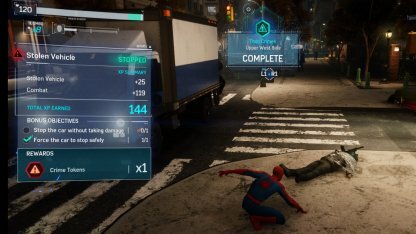 The "Combat Analyzer" suit mod increases the amount of XP you gain. 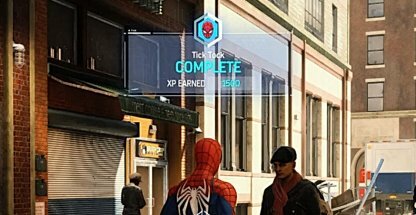 You can use this to get more XP when doing side quests or fighting crime. 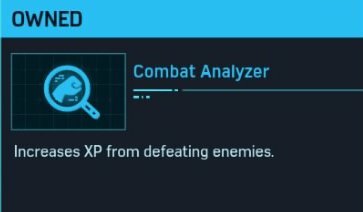 Completing Main Missions provide a lot of XP, some even going up to 2000 XP each. It is not recommended however for players to rush through the main story as doing them when you're underleveled makes them harder to do. 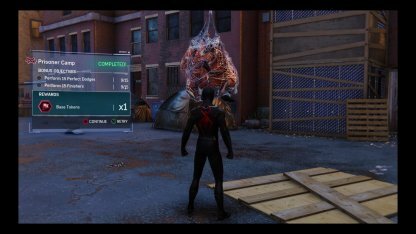 Just like Main Missions, Side Missions give a bulk of XP once you complete them. Do them in between Main Missions to level up faster! There are some areas where you can repeat and get XP from battling enemies. An example of this are Kingpin's hideout and his construction sites. 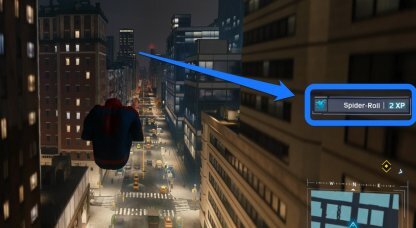 You can find a number of Kingpin's hideouts in New York City filled with his goons. Each construction site has 5 waves of enemies that you can keep repeating to farm XP! Inner Demons have multiple bases in New York where you can fight gang members repeatedly. Each fight has 5 waves of enemies, easily racking up hundreds of XP for you in one go. Escaped convicts will create a makeshift fort throughout New York late in the game. Be warned, enemies in these bases are heavily armed with confiscated military equipments, making them a formidable foes. 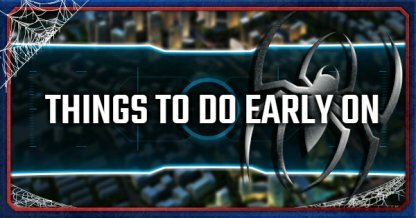 Later on in the game, Silver Sable's mercenaries will start putting civilians into concentration camps. These bases have much more tougher enemies compared to the bases by other factions, but will provide more XPs during your fight. Crimes will continually spawn in New York so you can keep farming them for XP. Additionally, while going around the city, you can also collect collectibles and landmarks that each give a bit of XP. 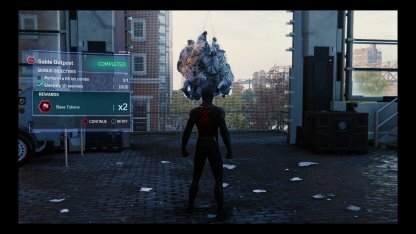 Air Tricks give a bit of XP every time you do it so you can do them while swinging from one place to another, but they are not recommended for XP farming. Better focus on doing something else than continuously doing air tricks.